A new and energized generation looks to change the face of the party in the House. WASHINGTON — While the Democratic Party continues to debate the meaning of last week's primary defeat of longtime New York Rep. Joe Crowley, one thing is clear: His loss has created an unexpected opening for a new generation of the party's House caucus to emerge. House Minority Leader Nancy Pelosi, D-Calif., has held a tight grip on her own power and her leadership circle for more than a decade, creating an anxiousness among the younger Democrats who have served in Congress with no other leader except for Pelosi. Crowley's loss to first-time candidate Alexandria Ocasio-Cortez doesn't just leave an open position for Democratic caucus chair, the fourth-highest party leader in the House. Some members say it also increases the potential for a shake-up of the entire leadership team after the midterm elections, regardless of which party wins the majority. Crowley has long been a close confidant and loyal lieutenant of Pelosi‘s. Twenty years younger, he is well-liked and was considered a bridge to the younger members and an obvious successor for her allies. Rep. Tim Ryan, D-Ohio, who challenged Pelosi for leader in 2016, said “everybody is re-evaluating” in light of Crowley’s loss. Pelosi has led the Democrats since 2002, a tenure that has included four years as the first woman to wield the gavel as speaker of the House. Her No. 2, or party whip, has been Rep. Steny Hoyer, D-Md., and there hasn't been a contested race for any of the top four leadership slots since 2006. Now that stability is being severely threatened. Rep. Barbara Lee, D-Calif., said Thursday that she’s looking to run for Crowley’s post. “I’ve been talking to members and getting positive feedback, but I think what’s important right now is to listen and see if I can make a contribution to the Democratic caucus as chair,” she told NBC News. Another Californian, Rep. Linda Sanchez, is also interested. 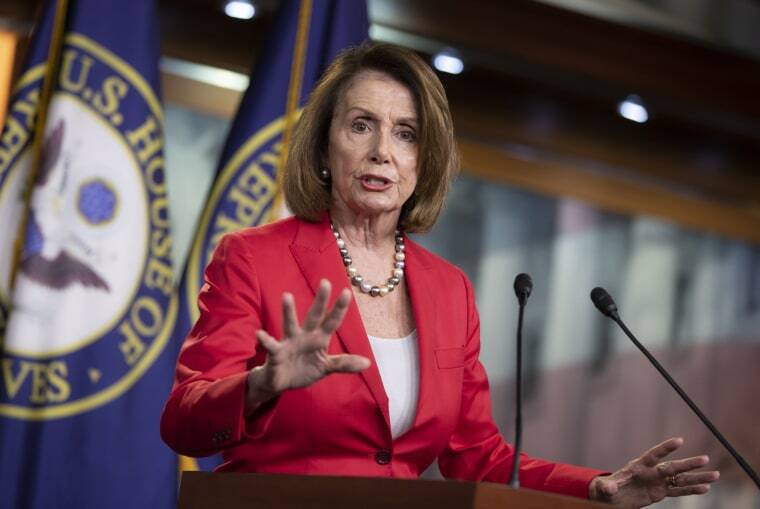 The jockeying for the fourth spot is also having reverberations at the top, where Pelosi's grip is likely to be challenged and where the internal fight over leadership closely mirrors the broader fight Democrats are having about the soul and direction of the party. For some members, Crowley’s loss to a young, progressive candidate is proof that voters are looking for new, fresh voices to lead the party. The top three leaders — Pelosi, Hoyer and Rep. Jim Clyburn, D-S.C. — are all in their 70s. "It underscores the idea, even within the caucus, that our best advantage that we have is to have some new faces and new names in leadership. That is what our base of support is demanding,” Ryan said. Crowley was often mentioned as a top contender to replace Pelosi as either leader or, if the Democrats win back the majority in November, as speaker. Hoyer's allies say Crowley's upset makes it more likely for Hoyer to move up, should Pelosi step aside. "Steny has a clearer shot," a senior Democratic aide said. "But he doesn't have a clear shot." But there is little consensus on who is next in line. Pelosi critics say that she’s been so intent on holding on to power that she’s done little to nurture the next generation of leaders. Some members want younger leaders, others want an ethnically diverse leader or someone who is more demographically diverse or progressive as faces of the party. Names that have been floated by different factions encompass one or two of those traits, but not all of them. They include Rep. Cheri Bustos of Illinois, who represents a district Trump won. Another is Rep. Mark Pocan of Wisconsin, who is a member of the Congressional Progressive Caucus. Others point to Rep. Cedric Richmond of Louisiana, chair of the Congressional Black Caucus, or Rep. Joe Kennedy III of Massachusetts, who is 37. “I think there are many people in our caucus who will be ready to step up and now there’s going to be an opportunity to do that,” Bustos said. “I think where I would like to see some growth in value diversity is geographic diversity, and I think that is a missing component." Pocan said the 70-member Congressional Progressive Caucus is considering who it would like to put up for leadership. Rep. Ruben Gallego, D-Ariz., anticipates a leadership shake-up after the midterm elections, regardless of who wins the majority. He said the stakes are too high to accept the status quo without question. “The attitude we need to have is that all positions of leadership are open. Everyone has to basically explain why they should be in leadership,” Gallego said. “It doesn’t matter if you’ve been in leadership for a while or not, you have to explain what kind of agenda you’re going to bring forward to actually stop Trump and take back the White House in 2020." Alex Seitz-Wald and Alex Moe contributed.